This was our first visit from 27-year-old Montreal pianist Charles Richard-Hamelin, fresh off his Silver Medal finish in the 2015 Warsaw Chopin Competition. Richard-Hamelin and Yike (Tony) Yang both received medals, the first time Canadian artists have ever placed so highly in this revered event. I thought it was important that younger pianists see our prizewinner in this all-Chopin recital, and I was pleased to be joined by 10-year-old Max Li, a recent first-prize winner in the local Kiwanis Competition. Given my ‘you can never start ’em too early’ philosophy, one quaint possibility was to have him try to review the concert since he plays Chopin too. Master Li had all the makings of a good reviewer, always moving his programme in line with the rhythms, thoughtfully turning over its pages time and time again for better insight and, yes, coming up with the ultimate verdict: Richard-Hamelin played extremely well but he was not as exciting as some pianists. In many respects, he hit it right on: unlike a number of the young and glamorous Chopin pianists that Li might have encountered, Richard-Hamelin never treated the composer as a vehicle for display, speed or bravura. What we saw instead was wonderfully-concentrated inward playing that aimed at the soul of the composer and exuded intelligence and architectural strength. The relatively deliberate tempos may have made it ‘unexciting’, but this was playing of great feeling and galvanizing purpose and insight, absolutely rare for an artist under 30. Sometimes I thought of pianists like Claudio Arrau or Emil Gilels, though the artist’s self-confessed standard-bearer is (naturally) Dinu Lipatti. This turned out to be one of the best piano recitals we have seen in the past year or two. Involvement and lyrical space were immediately apparent from the opening B major Nocturne. This was a wise, beautifully proportioned reading, often achingly beautiful, though some might find the tempos on the relaxed side. The Ballade No.3 initiated the stronger pieces, and introduced us to the type of suspending concentration that Richard-Hamelin can achieve: the performance was beautifully ‘whole’. Exposited with patience and architecture, the pianist was particularly sensitive to the emotional extremes of the composer’s world: from the sweetest of repose, to carefree and fanciful joy, to the most weighty and uncompromising assertion. The perception of this type of volatility seems to be a hallmark of Richard-Hamelin’s Chopin: indeed quite uniquely so, since everything is still anchored within a very firm structure. Sterling command and elegant pacing also informed the pianist’s Polonaise-Fantasie Op.61, opening out considerable dramatic space, and cultivating a lovely carefree innocence alongside. Yet it was the yearning flow and breadth of expression later on that was the most enticing. This performance had genuine spontaneity throughout, and built to an absolutely overwhelming close. The more youthful Introduction and Rondo Op.16 had fine animation and tonal control and captured the work’s playfulness and caprice. If patrons arrived with a sense of anticipation about this recital, by the end of the first half genuine excitement was in the air. The following three Mazurkas Op.59, while slight, were beautifully rendered: Richard-Hamelin gave them splendid lyrical elevation and managed to capture their whim and folk dance element. This was very human playing, and I liked its rhythmic integrity too. The big event was the Chopin Sonata No.3, and this is where the pianist’s quest for extremes made for quite a daring and individual performance. The opening Allegro certainly paid attention to its maestoso designation: strongly dramatic and weightily commanding. But it also captured its tumultuous quality most perceptively, subsiding into its cantabile theme in the most meltingly beautiful way. Here was the repose that almost took us to a different world, only to be turned back with strong determination later. If the brief Scherzo bubbled forth with all the right accents, then it was the contrasting Largo that introduced the ‘heavenly lengths’. Starting with considerable sinew and at a good pace, the development became more and more searching and intimate, suggesting a river that flows on and on until it almost reaches a still. It was the sense of flow and gentle musing that made this reading distinctive and perhaps more balladic than usual; the very tender, suspended delivery of the closing theme was simply exquisite. The finale had the virtue of great lucidity. It had a lovely jogging ease at the beginning, and always maintained a feeling of caprice no matter how much tempestuous weight was unearthed en route. Some might feel that the weighty extremes of the Sonata were a little more emphatic than they had to be, or that the river in the Largo meandered a little too much but, all told, this was performance of tremendous intelligence, conviction and cohesion. It was unmistakably ‘real’ and commanding, and remarkable for a young pianist. 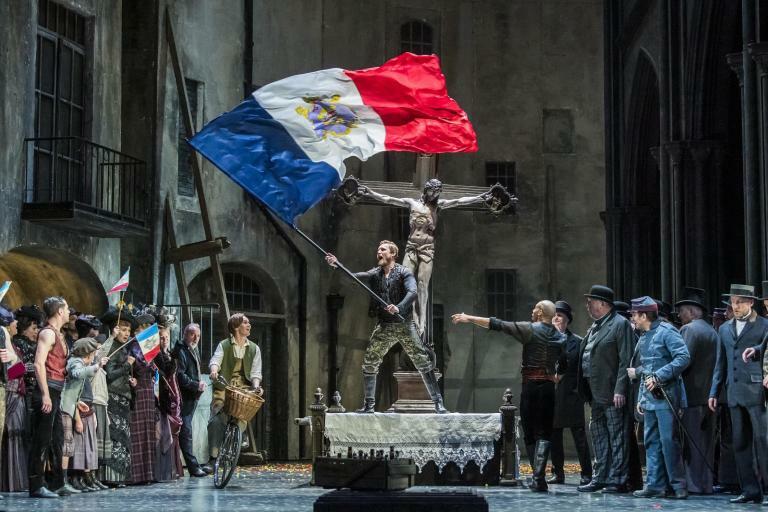 There was explosive applause at the end, and a powerful and imaginative reading of the indefatigable ‘Heroic’ Polonaise and a touching Mazurka sent everyone home satisfied, though probably still hungry for more. There is nothing more suspicious than a reviewer extolling the virtues of an artist from his own country, but Charles Richard-Hamelin absolutely must be heard. Playing of this insight and maturity is rare. The pianist always displays sterling technique and agility, but it is interesting that I never referred to them above. That’s because I was too busy thinking about his Chopin. I do hope to be seeing more young Canadian pianists follow in the inspired footsteps of Richard-Hamelin – with the bonus that many become perceptive reviewers as well!